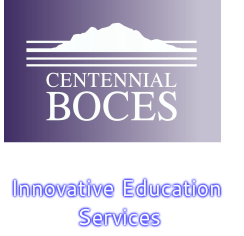 ﻿The Centennial BOCES Alternative Teacher Licensure Program (ATLP) is a state approved non-traditional licensure program. The ATLP is designed for individuals who would like to become a licensed teacher in Colorado but have not completed a traditional teacher licensure program through a university. The program is a clinically-based one-year "on-the-job" teacher preparation training experience. Registration for the 2019-20 School Year will begin June 2019. Watch the websites of the school districts for the location you would like to teach for any openings that would fit your endorsement. Completion of an online application for an alternative teacher license at http://www.cde.state.co.us/cdeprof (select apply for or renew a license or authorization, then select alternative license teacher). The SOE is a step within the application process. a passing score on the approved Colorado assessment (Praxis II). Registration information for the Praxis II can be found on CDE’s website. or directly on the PRAXIS website https://www.ets.org/praxis/. Program orientation and instruction on classroom management via nine required training sessions held at the Greeley CBOCES facility (Saturdays). A job coach (CBOCES Coach) to assist the candidate in developing teaching skills and to assist with the documentation of the Colorado Teacher Quality Standards and Elements. The coach is assigned, trained and paid by CBOCES out of ATLP program fees. A building level, non-administrative, teacher mentor to assist the candidate in developing teaching skills and to provide support at the building level. The mentor is assigned by the building or district, but the mentor is paid by CBOCES indirectly (payment is issued to the school district or charter/private school and then passed to the mentor through payroll) from ATLP program fees. Training for the required "Understanding By Design" unit work sample. Scoring and feedback on the above mentioned unit work sample. Instruction in reading and writing as it applies to the candidate's content area. Data collection and analysis for all program requirements. ATLP candidates are paid a salary by the hiring district. Salary schedules vary by district. The program fee for the Mid-year CBOCES ATLP program is $6,000 for Member District Schools and $7,000 for Non-Member District Schools. Please contact Patti Greenlee pgreenlee@cboces.org to find out if the school you are applying with is not on the list to see if it is a member or non-member. Fees for the program are the candidate's responsibility unless the hiring district has made other arrangements. Payroll deductions are available through most participating districts. District human resource offices will provide the details about the payroll deduction policy. Full program fees are billed directly to districts (or directly to candidates if not using a payroll deduction) . In very rare cases, districts or charter cannot accommodate payroll deductions to cover program fees. In these cases, it is the full responsibility of the candidate to make payments. Should an ATLP candidate be released from his/her contract or dismissed from the program, the candidate is responsible for costs associated with the program up to the point of release. Fees cover all required training, materials, coaching, mentoring, and associated expenses. The candidate is responsible for the purchase of textbooks, fees associated with college credit, and any elective coursework registration fees. The CBOCES ATLP is a quality program that provides the training a candidate needs to be successful in the classroom. It is expected that candidates will make this program a priority and make every attempt to be present for every required training session. Candidates may be allowed to miss one required training session. However, it must be pre-approved (except in the case of an emergency situation) by the CBOCES department Program Manager and course instructor, as a legitimate reason. Any absence over this "one day" limit will be reviewed by the CBOCES department director and a decision will be made as to whether or not the person can continue in the program. If a candidate misses any of the required training sessions, they have the responsibility of viewing the video of the session on their own time and completing/submitting any of the in-class work/assignments to the instructor for grading, within three weeks of the date of the absence. Complete all paperwork to meet state requirements. Attend and complete all required training sessions. Actively participate with the support team (CBOCES coach, building mentor, and building administrator). Complete a weekly electronic journal with the CBOCES coach in which the candidate reflects upon their experience. Observe another effective teacher in a role similar (one full day minimum). Develop and complete a professional growth plan. Demonstrate proficiency in understanding of the Colorado Teacher Quality Standards and Elements. Develop and teach an "Understanding By Design" unit. Patti Greenlee, PROGRAM MANAGER, AT 970-352-7404 EX.2509 OR pgreenlee@cboces.org or complete the contact form below. "As the year starts winding down, I've been looking back at my lesson plans from the beginning of the year and comparing them to the middle of the year and now. One of the developmental goals that I established for myself was to become more proficient at creating/developing/implementing impactful lessons for my students. At the beginning of the year I was "winging" it way more than I should have been. After a few months into it, I was able to implement a lesson much better, but I still wasn't as prepared as I would have liked to be. After studying what a good lesson plan looks like and working on the lesson plan unit through my ATLP coursework, I've been able to make my lessons more cohesive and at the same time utilize cross-curriculum strategies to continue the learning into different subjects. I know I have a lot of room for improvement, and I'll continue to work on those "deficiencies" over the summer, but looking at the growth I've made over this one school year is fairly impressive to me. I already have new ideas planned and which ideas need to be scrapped. Knowing what the curriculum entails will also allow me to better plan out what the year looks like. I'm excited for next year to get here!"